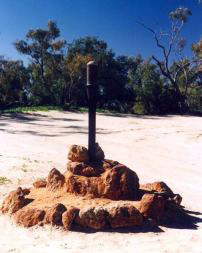 In 1996 Dave Phoenix placed sand and stones around the pipe to protect it from damage by tourists. Mike Steel and Joe Mack of Rover Charter Tours built the cairn in 1973. 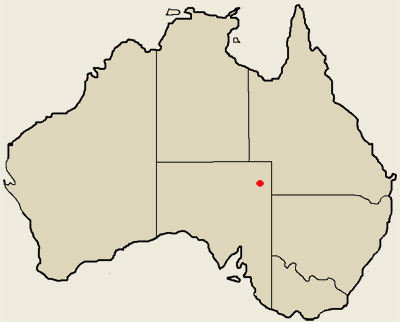 Joe Mack of Waikerie in South Australia had wanted to erect a cairn in 1961, one hundred years after the death of Wills, but was unable to do so due to lack of interest and funding. 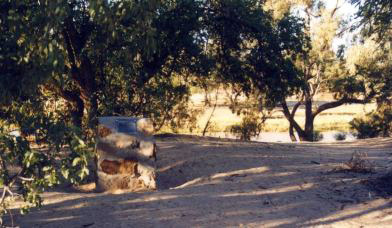 Mike Steel raised the idea again in 1971 and in March 1973, erected the cairn. A television crew from ADS7 joined the team and the plaque was donated by Porter and Barnett, Adelaide photo engravers.